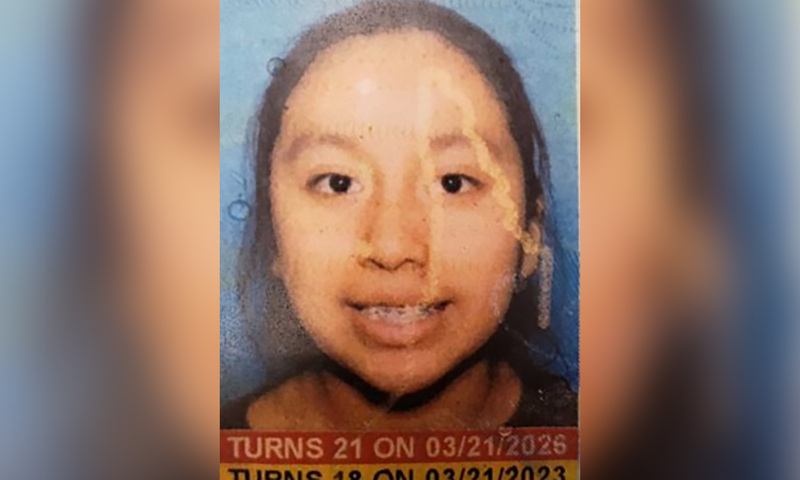 The Lumberton Police Department and the FBI are continuing to ask for the public’s assistance to find 13-year-old Hania Noelia Aguilar. Hania was outside her home at the Rosewood Mobile Home Park located at 3525 Elizabethtown Road, Lumberton, North Carolina, on November 5, 2018, just before 7:00 a.m. She was waiting on the rest of the family to come outside and drive to school. A witness saw a male subject dressed in all black and wearing a yellow bandana force Hania into a relative’s vehicle that was parked in the driveway. The vehicle is a green, 2002 Ford Expedition with South Carolina license plate NWS-984. The paint on the hood is peeling and there is a Clemson sticker on the rear window. An Amber Alert was issued. The Lumberton Police Department, Robeson County Sheriff’s Office, the FBI, FBI’s Child Abduction Rapid Deployment team, North Carolina SBI, North Carolina State Highway Patrol, Rockingham Police Department, the North Carolina Department of Public Safety Division of Community Corrections, and the National Center for Missing and Exploited Children are following a number of leads to find Hania. This morning, November 6, 2018, investigators conducted a road block canvas along Elizabethtown Road in Lumberton. North Carolina State Highway Patrol troopers showed drivers Hania’s missing poster to identify people who travel that route daily and may have seen something yesterday to help us #FindHania. Hania is a Hispanic female, 5 feet tall, weighing approximately 126 pounds. She has black hair and brown eyes. She was last seen wearing a blue shirt with flowers and blue jeans. Hania’s family is working with law enforcement and fully cooperating with investigators to locate the teen. The FBI Victim’s Assistance Specialist is also working with the family during this difficult time. Hania’s mother asks whoever took her daughter to please bring her back home. The 911 call to report Hania’s abduction was made by a neighbor when a relative ran over to get help. The call came in to the Robeson County Communications Center at 6:54 in the morning on November 5, 2018. A female caller speaking Spanish was on the line, and the Robeson County dispatcher quickly requested a Spanish translator to join the call. Initial reports during the 911 described the abductor as a black male. During follow-up interviews, investigators determined the witness had not seen the race of the abductor because he was wearing all black, including long sleeves, and a yellow bandana over his face. The information was transferred to the Lumberton Police Department who received the call at 6:58 a.m.